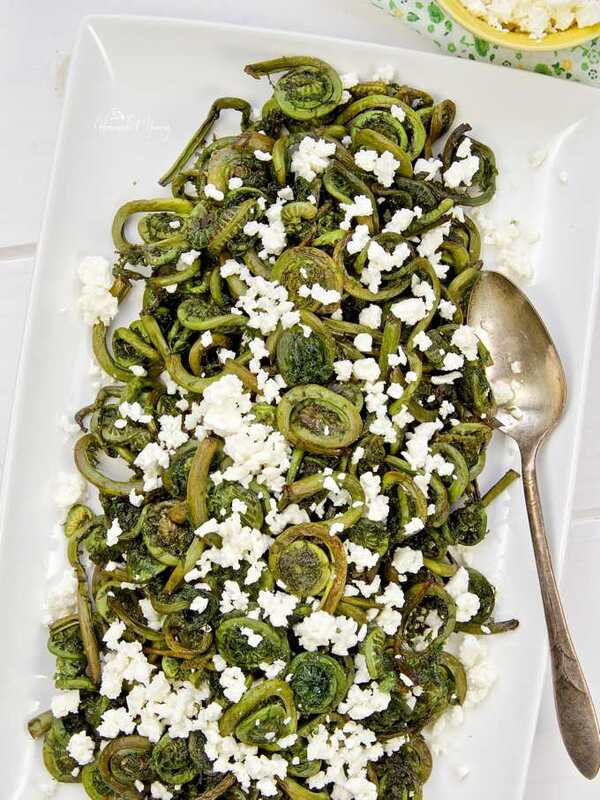 Wash the fiddleheads (several times) and pat dry. I used a kitchen towel. Remove any loose brown leaves, and trim any dry ends. 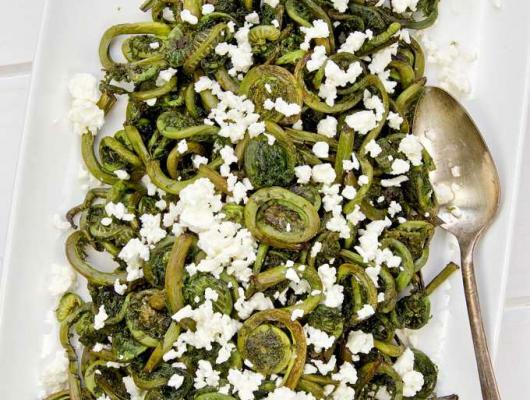 Place cleaned fiddleheads into a roasting dish. Coat with the olive oil. Season with salt & pepper. I use smoked sea salt. Roast for 25-30 minutes, stirring about 1/2 way through. Remove from oven and place on a serving tray. Garnish with the crumbled feta cheese.